I’ve added a new ‘Christmas’ category in the sidebar with links to a few great patterns, but there are hundreds of other ideas out there – here are some directories of Christmas patterns. Thanks to Tracy for these links – please let me know (craft@planetjune.com) if you find any more great links we should add to our list! 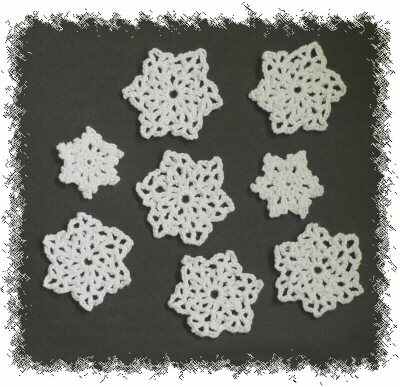 I have to admit, I used to think crocheted snowflakes were very “granny” but I’ve recently made several that I love and intend to use as bows on gifts this year. Ryan – what a great idea to use them as bows! I was also thinking a garland of snowflakes would be cute.